We had to fight in court to protect my stepdaughter from her mother, then my daughter's ex tried to take her kids. This is what I learned. 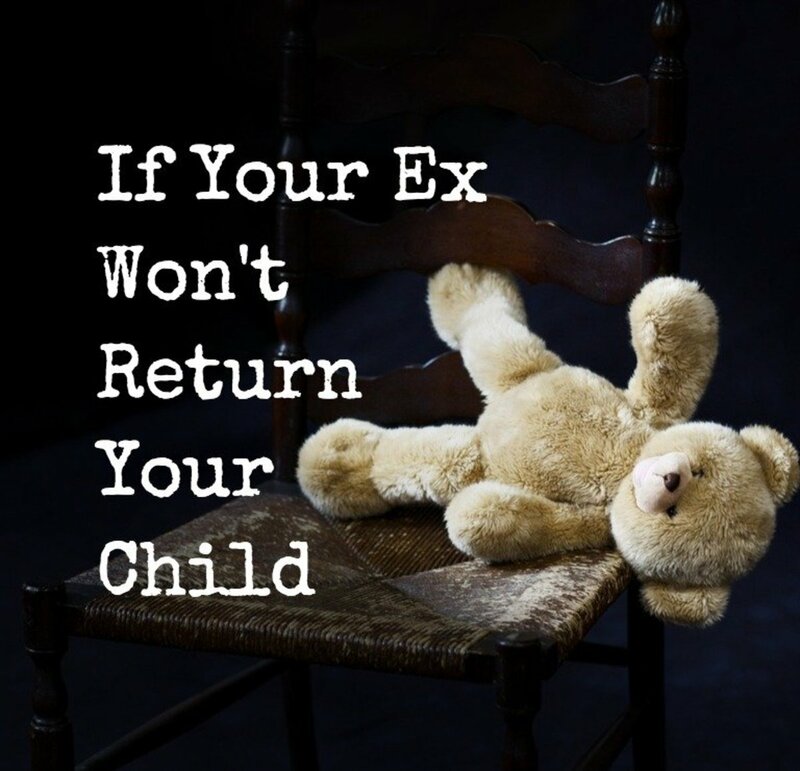 What Can You Do If Your Ex Takes Your Child? Do what you can to convince your ex to return your child. If you can persuade your ex that his or her behavior is harmful to your child and not in their best interests, you may be able to get your child back and avoid costly litigation, but you will need to take appropriate legal action to ensure it doesn't happen again. 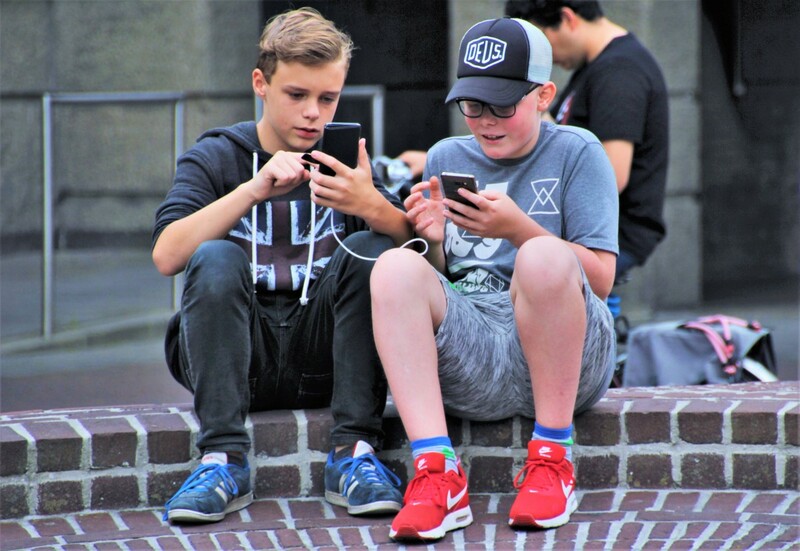 According to Nicole Sodoma, child custody and family law attorney, "As simple as it may sound, the best first step may be to simply communicate with the other parent in a calm manner—email and text so that there is a clear attempt with evidence to support it. Don’t avoid communicating with him or her—burying your head in the sand hoping that the other parent will do the right thing won’t bring the resolution you hope." Get the civil court to authorize police involvement. While this is the most time-consuming and expensive option, it's the one with teeth and the best recommendation for getting your child back. Court orders are essentially laws that are enforceable by police. When you have valid court orders, you have a durable set of boundaries that you and your ex are supposed to stay within. If the police can be enlisted to ensure the orders are followed, you and your children will be safer. Your child may "run away" and return to you. This is emotionally risky and might be physically dangerous as well, depending on your circumstances. This is not recommended but if your child does this, let the police know. As far as the police go, runaways are not a priority unless considered missing or endangered, so you will need to inform the police to tell them you did not kidnap the child and that the child is safe. Even so, don't let your child out of the house if the police or your ex want to talk to them until you get sound legal advice. This is the riskiest and least recommended since it can endanger you and your child emotionally, physically, and legally. It also invites the other parent to do the same and might violently escalate the animosity of the situation. Be certain you aren't violating any laws or court orders if you don't want this method to backfire on you! This is NOT a method I would recommend except in very dire circumstances. Kidnapping your own child can have unexpected and ongoing negative consequences for everyone involved—consequences that may affect you all for many years to come. Below, I discuss the best legal ways to get the law on your side and how to bridge the gap between the civil courts and the law enforcement agencies you'll need to help you get your child back. Can the Police Enforce Child Custody Agreements? When it comes to enforcing custody and visitation, police agencies nearly always say, "Sorry, that's a civil matter," even though the behavior of the difficult parent is distinctly uncivil! What they're really saying is that enlisting the help of the civil courts, not the criminal justice system, is the way to handle family matters, because the police don't recognize that a crime has taken place. In order to involve the police, you must have a court order signed by a judge. So even if you have full custody, the police will not interfere in most circumstances unless you have a court order. 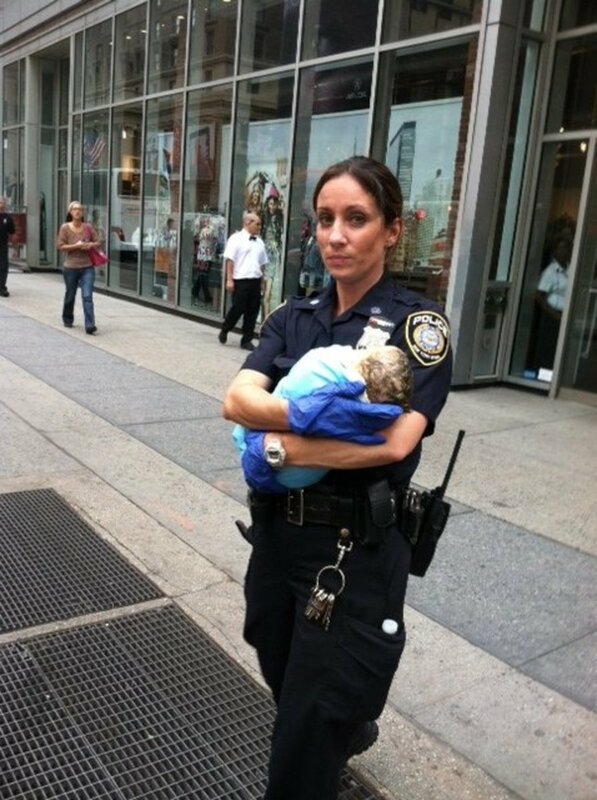 Why Won't the Police Enforce My Rights As a Parent? Contact a local family law firm as soon as you can. There will be many papers to file and obstacles to maneuver, and you're going to need all the help you can get. According to Nicole Sodoma and Nadia Margherio, child custody and family law attorneys, "Remember though that litigation can be time-consuming and not all filed actions provide any immediate remedy. In addition, the longer you wait to file an action, the harder it may be to undo the damage or precedent that has been set." 2. Collect documents and evidence. You need to organize yourself and create files of all the important and relevant documents. According to Dallas family law attorney Christine Leatherberry, “A parent needs to make a demand for [the noncustodial parent] to return the child in writing by text or email (to show the judge at a contempt hearing). You'll also need to have on hand any documents, letters, texts, etc. that support or validate your experience. The court will need proof in order to take action. All relevant texts and emails. A log or journal documenting any visitation-related incidents. The names and contact information of any relevant witnesses. 3. Try to get a restraining order. If you believe your child (or yourself) is in danger, have you attorney file for an order of protection. No matter what state you are in, the courts will have a procedure to hold an emergency hearing to determine if you or your child needs protection. If it is determined that protection is needed, the judge will issue an order of protection, also known as a restraining order. If you are granted a restraining order, your attorney should specifically include language that specifies that the police have the authority to pick up and return your child to you. To seek a restraining order, you'll need to document that a risk exists. Locate and report any previous incidents of physical or emotional abuse, illegal drug use, excessive drinking, or psychologically-disturbed or risky behaviors that you want the judge to consider. You should bring any photos, doctor's reports, or other documents that support your claims, like old emails or text messages that discuss any of these things. 4. File for habeas corpus and a writ of attachment. According to Dallas family law attorney Christine Leatherberry, "if you don’t have a court order, then you will need to obtain habeas corpus and a writ of attachment to get your child back." A habeas corpus just means a "body of evidence," and it's a writ that requires that a person be brought before a judge or into court. 5. Seek a temporary order of custody. Where the child has lived the longest. Where the child has the most friends, family, or social networks (like school). Whether either parent has a criminal history or is concealing the child. Whether the child is in danger. Which environment is healthier for the child, emotionally and physically. If you already have custody orders, you'll want to look up parental interference laws for the state where your ex resides or is holding your child. In most states, a parent who willingly violates custody orders may be found guilty of a felony. However, it can be hard to enforce this until you register your custody orders. 6. Register your judgments and orders. Once you have legal judgments like custody orders and/or protection orders, they will need to be on file with the county where you want enforcement. If your ex lives in a different county or state, you will have to call that county's clerk of the court or county recorder to inquire about how to register your orders. In some cases, it's as simple as providing a copy and paying a small fee, but in others, the process can take longer because it gives both involved parties a chance to contest the order. Once the county has accepted and recorded a legal court order, it becomes a local order. The county's police agencies are then able to enforce it. If you do not complete this step, you can expect to be turned away when you seek help. Contact the police agency in the county where your child is being held and where you have already filed all your judgments and orders to enlist their help. Have a printed copy of the order when you contact the police. If an officer is faced with an unclear court order, s/he is unlikely to get involved. Why Can't I Just Take My Child Back Myself? According to former-police-officer-turned-attorney Brandon Holt, "As a homicide investigator in Georgia, I investigated violent crimes that arose during exchanges when one parent refused to give back the child and the other parent tried to forcibly take the child back. While it is true, as a matter of logic, that taking your child is getting the child back, the problem is it becomes a very high-risk situation and the child is witness to it all. Emotions are extremely high and the likelihood of violence is great. Consequently, this method usually makes everything worse for everyone, including the child. Unless the child is in immediate danger or there is a credible threat the other parent is going to take flight and never return, I would not advise taking back the child back by yourself. A recipe for disaster." Attorney Brandon Holt had even more to say: "the parent who attempts to take the child back may be in violation of a parenting plan or court order. It happens often that parents misread their own parenting plans. 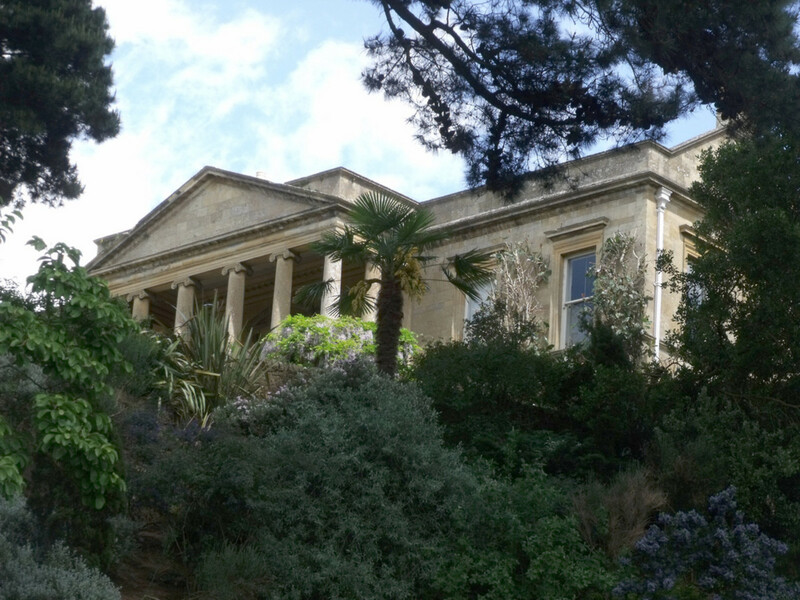 Wrongfully taking the child back, therefore, not only exposes the parties and the child to a high-risk situation but it also exposes that particular parent to potential contempt of court claims." In other words, not only do you risk violence, emotional distress, and being in violation of your own agreements, but you could be charged for kidnapping yourself. It's better to follow the proper channels, even if they seem drawn-out and difficult. "You'll need to get a habeas corpus and a writ of attachment if you want the sheriff's department to help," said the deputy I spoke with. "We don't recognize orders from out-of-state." Hopefully, if you follow the steps listed above, you'll find a solution for your situation and figure out how to prevent it from happening again. However, my experience has shown that the problem parent will find every possible loophole and excuse to make life hard on you and your child. Keep thorough records. And I don't mean on your phone: Print and organize all relevant documents and communications. Three-ring binders are absolutely necessary for this process. I used one for court orders, one for e-mail records, police reports, and notes I made about conversations, and another for receipts and financial data that affected our case. Eventually, all three of my three-inch-thick binders were full. Know the laws that apply to your case. The UCCJEA applies to virtually every custody case. Parental interference with custody laws may also apply. Understanding the registration process thoroughly will help you guide police officials who may not be up-to-date on the processes (in my experience, few of them were!). Always remain calm, polite, and rational when dealing with the police agencies or courts. There are multiple reasons for this. You want their reports to reflect that they see you as a rational, reasonable person, and if they empathize with you it's likely to come across in their reports, which you may need to use at future hearings. You do not want the police to feel like you're telling them how to do their jobs or trying to dictate to them, so express understanding about the limitations they're working with and show a cooperative attitude in all your interactions with them, even if you disagree. Build your own case. Don't expect your attorney to provide your evidence for you. Hire an attorney that is very experienced in family matters and comfortable going to trial. Many attorneys dislike trials and can drag your case on and charge a lot of money doing it. A more expensive, aggressive lawyer might save you thousands. Never violate state laws or court orders yourself. Do not make statements you can't prove. Just because you think the court will award you custody because your ex drinks too much, it's an empty threat until a judge signs on the dotted line. Empty threats and mistaken assumptions about what the law says can make you look foolish and hurt your case. Pay your attorney in a timely manner. You may need his or her help again. What If Your Ex Takes Your Child Out of State? Custody agreements sometimes forget to include details about vacations and relocations. Oftentimes, the non-custodial parent doesn't get much say, although every state is different. Not only do states have different move-away laws regarding custody, but they also interpret agreements differently and often reach different decisions. If your ex takes your child out of state, you may need to petition the court to modify your custody order to address those changes. State laws govern what rights and duties both the custodial and non-custodial parent have. Even if you were never married, in most states, the law will consider one parent as a primary custodian. However, in some states (like Texas), neither parent is granted custodial status unless there is a court order that specifies one parent as custodial. What if my ex takes my child out of the country? In matters of custody, international child abduction is a common fear. If you share custody then you both have the right to oppose a decision to leave the country. Check the terms of your custody order. Also note that US Federal Law requires that both parents sign a passport application for a child under 16 years of age, unless one parent has sole custody. Can Child Protective Services (CPS) help? 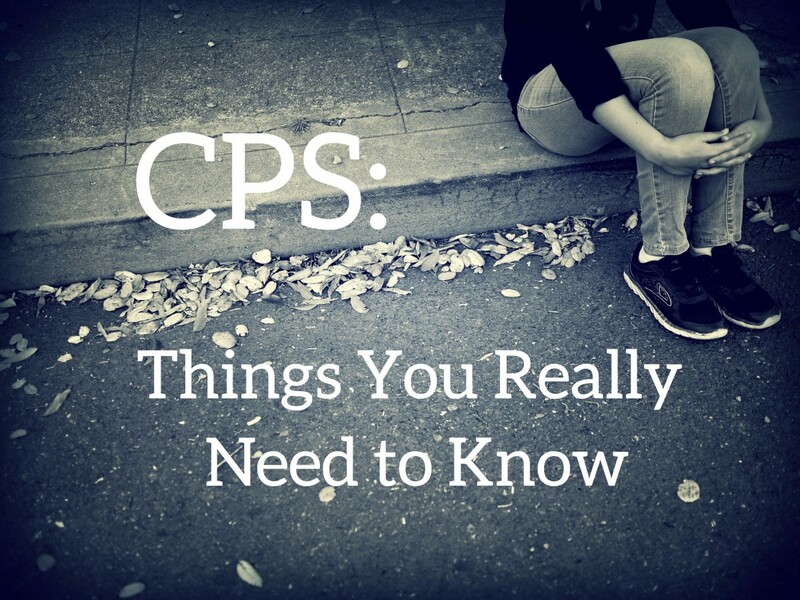 CPS's purpose is to remove kids from abusive situations, not help parents fight for custody. In fact, calling CPS can sometimes make things worse. Read Child Custody Battles and Child Protective Services (CPS) for more information. Paternal rights vary from state to state, but they always depend on whether or not the parents were married. If they were not, the mother always has sole physical and legal custody and the father has no legal right to custody or visitation unless he convinces and persuades the court otherwise. What if we have joint custody? Policies vary from state to state, but you'll likely have to file a contempt action against the other parent if they're not upholding their agreements. You might need an order for modification of your child custody agreement or you might try to take legal custody away from your ex. What can I do if my kid's father won't return our child after visitation? First, find out the reason and go from there. If you have a custody order, then you might be able to involve the police, but if not, you'll need a lawyer. Why Is Your Ex Refusing to Return Your Child? It is important that you attempt to find out why your ex has taken this drastic action. According to Nicole Sodoma, child custody and family law attorney, "In our law practice, with and without a court order, it is almost routine to hear that one parent is refusing access to the other parent or denying visitation. The scenarios can range from a tween wanting to spend time with his friends and refusing to get in the car, to allegations of physical abuse [...] it is best to understand the catalyst for and the veracity of the position. WHY is the parent refusing to deliver the child or denying access?" Let me encourage you to become familiar with the Uniform Child Custody Jurisdiction and Enforcement Act, because it will almost certainly form the foundation of your court case. (As of this writing, every state and territory of the United States have adopted the UCCJEA, except Massachusetts and Puerto Rico.) If you understand the UCCJEA, you'll be miles ahead of the battle when it comes to getting your child returned to you. The UCCJEA was designed to cut down on parental kidnapping and "forum shopping," a term that describes when a parent moves to a state where they can file a new case in order to obtain a more favorable custody deal. Under the UCCJEA, the courts must examine which state has jurisdiction over the child. Even if you live in the same state as your ex, you should become familiar with this law because many parents go to extreme measures when it comes to their children! One woman in Arizona thought she couldn't file for custody after her ex snatched their son from a bus stop and removed him to another state. She did not know where her child was, so she assumed she couldn't file a lawsuit. Her ex kept his location in Oregon a secret for many months, then filed for custody. When he did, she discovered that because of the UCCJEA, she not only was able to file for custody in Arizona, she was able to prevent the Oregon courts from accepting the custody case at all. How and why the law was developed to prevent parental kidnappings. What a court considers when deciding whether it has jurisdiction. What happens when two states are involved and both parties want to use the court in the state where they're located. What grounds are allowed for contesting a jurisdiction decision. What is necessary for police agencies to act on court orders. Additional laws, agencies, and further reading related to custody, visitation, and law enforcement. Attorney David A. Blumberg specializes in interstate custody cases. His website offers a thorough flowchart series that will help you apply the UCCJEA's principles to your specific circumstances. Have You Known Someone Affected by a Parental Kidnapping? When a deputy showed up to take my stepdaughter and turn her over to her mother, I knew that the court order authorizing him to do so was obtained illegally. I was calm when I informed him that I would not allow the young lady to step outside the house, but agreed that he could speak to her through the door. He told me, "Ma'am, we're not fixin' to have a problem here." I replied, "Yes, sir, we are, because that's not a valid court order." Again, understanding the law helped, because I went on to explain, "I know you don't know the details, but we weren't served notice of any hearing, and therefore, our constitutional rights have been violated if she is taken from here. I assure you that I will take action to the fullest extent of the law if this child is removed from us illegally." He called the judge, who checked whether we had been served with a notice of the hearing. After finding that we had not been, the judge ordered the deputy to leave my stepdaughter until the case was heard again with proper notice to all parties. If I had been over-emotional or offensive, I might have ended up in jail, and my stepdaughter would have been six states away by the time I got out. In all cases, instead of blindly fighting for your rights as a parent, it's best to first consider your child's needs and mental health. Think about the mental and physical repercussions of playing tug-of-war with your kid. Even if the other parent plays dirty, stick to your agreements and play fair for your child's sake. You should also become familiar with Parental Alienation Syndrome (PAS) and determine if it may be affecting your child. PAS happens when one parent targets the other parent as undesirable and unworthy to be in the child's life, poisoning the child against the parent and potentially forcing a sense of inferiority in the child who now believes he or she is the product of a defective parent. Parental alienation is also when one parent psychologically manipulates a child into being fearful, disrespectful, or hostile towards the other parent or family members, and it's a form of child abuse. Don't ever stoop to this level as it will surely have negative emotional repercussions on your children and your relationship with them. Is Parental Alienation Happening to You? Although parental kidnappings may not involve parental alienation, they often go hand-in-hand. This video shows how traumatic visitation can become for a child who is expected to hate one of their parents and refuse visitation. In this video, it may appear that the mother is "supporting" her daughter because the teen says her father doesn't care about her feelings and "always do(es) this" to her, but it's very possible that the girl will face emotional abuse and withdrawal of her mother's affections if the girl does not behave in a way that alienates her father. Parental alienation syndrome is inherently abusive but very hard to discern because the targeted parent may be seen as demanding and unreasonable by the violating parent, who has coached the child to dislike and avoid the targeted parent. Have you known someone whose ex did not kidnap the child, but did not return the child from visitation? Child custody and visitation can be one of the hardest aspects of parenting. One attorney—our tenth—told my ex-husband and me, "Your case is one of the most complex I've ever dealt with. It's more involved than the murder case I'm working in Ft. Riley." I believed him. Our custody battle had begun nearly eight years earlier. Courts and police agencies from five different states had been involved at one point or another. I'd compiled thousands of pages of court orders, interrogatories, IRS audits, transcripts of recorded conversations, and more. The case involved my husband's daughter, but it affected my children, too, who often stood by helplessly waving at their stepsister who wasn't allowed to walk out the door to talk to them and had to stand guard at school and report if her mother, my husband's first wife, was in the parking lot trying to kidnap her. My kids compared the pain they saw her go through with their own experiences of their dad's (my ex) and my cooperation. To tell the truth, there wasn't much cooperation, but they didn't see what really happened, which was me surrendering many important aspects of their childhood in order to prevent them from being traumatized. Unfortunately, my oldest girl's perceptions of "go along to get along" resulted in her losing her son briefly when his dad refused to return him from visitation...for the second time! I was able to share with her important things I'd learned so that she did get him back in a matter of days, and now I share them with anyone who finds themselves in this kind of tragic situation. My grandson was held by his father, who said he would not be returning the pre-schooler home to my daughter. They'd never married, so they never divorced, and no custody agreements had been drafted. I'm sorry you're going through something like this. I can relate too well to the kind of intense stress it puts on everyone in your family. Looking back, I wonder if we did the right thing when we fought against the parental alienation syndrome that led to so many years and dollars spent in courtrooms around the country. In our case, my stepdaughter lived with her mother, but we were awarded custody because of how extensively she was emotionally abused when she did not reject her dad. As she became a teenager, however, the young lady in question became convinced that she would lose her mother's love entirely if she didn't comply with what the mother wanted. Then the mother added an incentive of a free car as long as the young woman would agree to date boys. Crazy, yes, but also effective. My stepdaughter complied with her mother's plan to disappear to another state when she was sixteen. Today, she has a good relationship with her father. I don't know if she would have one at all if he hadn't fought so hard to keep her in his life. On the other hand, I also see her low confidence and poor self-esteem and I understand exactly how it came about. She now has children of her own and may be alienating her oldest child from his own father, but I am not in touch with her enough to know for certain. I certainly hope that's not the case, but PAS does tend to repeat in later generations. There aren't any easy solutions, but I wish you the very best in getting your child back and helping him or her have happy, harmonious relationships with both of the people who are most important in their life. Save your children in difficult PAS cases. My ex came into my home and took my baby without my knowledge. The cops said I can't go get her back. Do they have this right? We were never married? Police officers are not attorneys! Whether he or you has a right to your baby depends on your state's laws, and might be related to whether he is on her birth certificate or not, or whether you two ever presented yourselves as married, and other factors. An attorney could give you more reliable answers. My ex and I don't have court custody in place for our child. She has lived with me for eight years in NM, and went to visit in NC for the summer. I just got served papers because he and his new wife want permanent custody. They won't send her back. What do I do? Consult an attorney immediately! The Uniform Code of Child Custody Jurisdiction and Enforcement Act has some guidelines about which state will be able to handle a custody case, and the longer your child is in that state, the easier it is for your ex to succeed. My ex disappeared with my daughter on July 5th, 2017. I can't find anyone to help me. What do I do? That's horrible! If the police agencies aren't helping you, you might try hiring a private detective, especially if you can locate one with face recognition technology access. It's pretty hard for people to stay completely off the radar these days, so hiring someone who can monitor for social network appearances can help. My ex-husband took my kids for his time and has not returned them, saying they're safe there. My kids are acting against me, too...Well, my daughter. And her father is spoiling them! They were never hostile towards me before just recently they became like this - the way they talk to me, everything! I have physical custody. They are supposed to live with me, with him having visitation. What do I do? I went to sheriff they told me to file a visitation violation, which I did. Now you need to start talking to an attorney about your ex's contempt of court, and interference with custody. In some places, this is a felony. You should also become familiar with the topic of parental alienation. My daughter's dad got full custody of her six months ago, but she still lives with me, and lived with me before he got custody. However, he doesn't really see her or provide for her. Can I regain custody of my daughter? If you want to regain custody, you will need to file a motion to ask the court to reverse custody. 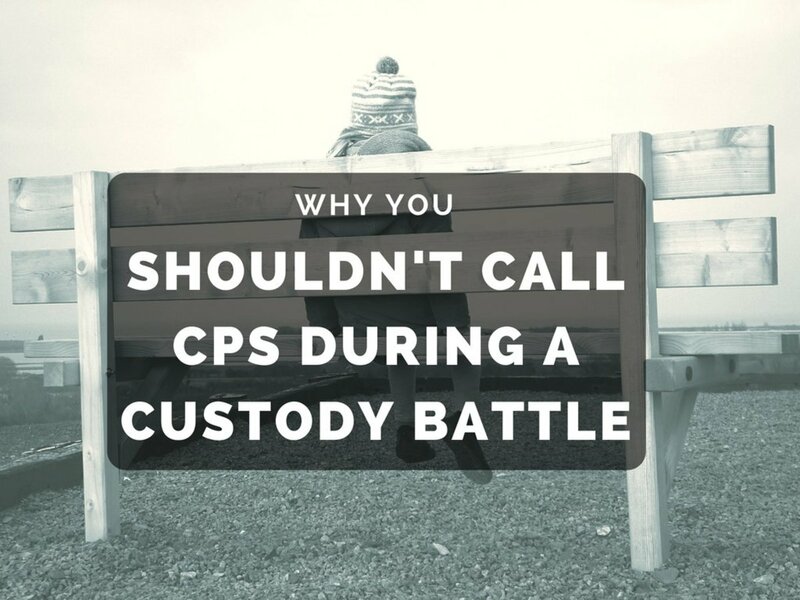 If you can document that he is not interacting regularly with her, not housing her, staying active with her schooling, and so on, it's possible that the court could decide to change custody. An attorney can better guide you. I am writing regarding my daughter who has been abducted by her father from Arizona 11 years ago. I have found her in Idaho and need a new order to be made so I can have her picked up. I obtained an emergency order of protection in Arizona, but it could not be enforced as he has disappeared with her and has been on the run since. How can I get a legal representative? Obvious disclaimer: I am not an attorney, and this is not legal advice, so please discuss any suggestion I make with someone who actually knows the laws in the areas where you need to take action! I believe if you contact the clerk of the court, you can file a copy of the orders you received in Arizona, which allows local authorities to take action on them. Without that, they're probably going to say it's a civil matter. With the paperwork filed with the court, it might be possible to get the police or FBI to return your daughter to you. Please consult an attorney before you take these actions, though, as each state does things differently and laws change often. My ex filed an attempt to withhold my two girls. I don't know why. I have seen no paperwork, he will not talk to me, & he hasn't let me talk to my girls. All this after he picked them up from school on my day, didn't tell me, didn't answer my calls, and I didn't talk to them or see them till my day the next week. How can I fight this? I wonder if he actually filed anything at all. If you haven't been served, it is possible that he is bluffing, especially if he took them instead of a police officer picking them up from you and turning the girls over to his custody. Have you called the police with a copy of your court order? (Make sure the order is filed with the county recorder where this takes place!) If they don't help, contact an attorney ASAP! My ex whom I was never married and had not attempted to be in my six-year-old daughter life for six years picked up my daughter then concealed her before establishing paternity. What do I do to get my baby back? Talk to an attorney and put together evidence of the steps he took. Witnesses, documents, a diary of dates, times, and activities that are relevant. Evidence that your daughter's family and friends where you are are as important as or more important to her life than the ones she's around now, if that's true. Put together everything that shows you are providing well for your daughter, that he was deceptive, and that it's better for her to be with you. Then let your attorney do his or her job. I was granted temporary custody for my four children five years ago. During that time, I let mom back in our lives; then she took my kids without my permission while I was at work. We are married. What should I do and did she break any laws? I'm not an attorney. I'm not familiar with the terms of the custody order that applies to your family. Each state has different laws from other states. You should talk to an attorney. In our agreement, my ex gets our three children two days a week and every other weekend. He once only took them for one day and every other weekend. Is there monetary value put on the days he has them, or is it his choice? I'm not an attorney who can tell you for sure, as different places have different laws. In my personal experience, there has never been a monetary value on time spent or not spent. Neither parent was awarded custody of our daughter, and he won't give her back. Can I go to NC and steal her back? I have no idea what state you're in, what your state's laws may be, and I'm not an attorney anyway, but I firmly believe that separating a child from one of the two most important people in her life is emotionally abusive, so I hope you find another solution. My ex won't comply with court orders by providing transportation for our fourteen-year-old daughter. She refuses to visit with me. She's manipulated by him. I file police reports. They can't force a girl to go with a parent when they don't want to. What can I do? However, that doesn't undo the hurt and pain and rejection you feel while all this is happening. In the experiences I had, I wasn't able to not take it personally, and it resulted in alienation from my children as adults. There are not many good answers here except to keep putting one foot in front of the other and do the best you can. Always make sure your daughter knows you love her, and that you have faith in her. My youngest son's father has only been involved with him for less than a year. He's verbally abusive towards me at pickup, and is an active drug user with a history of violence and heroin abuse. He's requesting through the court to take my son on a "cruise" out of the country in 2019 with no documentation or proof of this cruise. I would not be allowed any communication. I fear my son will be kidnapped as his father is emotionally and mentally ill. Do I have rights as a custodial parent? This question is best asked of an attorney who knows the laws in your state. In general, the court might not restrict him unless you can show that he's a flight risk. This is where it's important to pull together documentation of abusive incidents, times he has ignored rules, times he has exposed your son to dangerous circumstances. I'm sorry to hear that. your boyfriend needs to contact an attorney right away. Hi my boyfriend was filling a divorce with his previous marriage, his ex wife block all the contact from him, she is never respond every single message to him, and my boyfriend is willing to support his kid but he don't know what to do because his ex wife keep running away from him.. He did send a divorce paper to her already but he never get anything from her. And mine to you! The scars will mark our lives forever in various ways, and if I were to do it over again, I think I would have made some different choices. I hope your future brings all the healing you need to have all the love in your lives that should have been expressed all along. Thanks for sharing your knowledge and expertise. It is always nice to know there are others out there who can relate to what you have gone through. We have one of the most extreme step-family cases I have ever seen or heard of as well. We fought for years through the court, social services, and police systems to stop parental alienation and worse things like Munchausen Syndrome by Proxy. Unfortunately, the system where we live is reactive instead of proactive, biased against fathers and favors mothers. So our case languished on for years, while the children's lives were being destroyed by all the fighting. In the end we were granted 90% custody, but the damage was already done and it was too late for our full time, positive influence to help the child in question. After that, we decided not to fight anymore, ever again. But I understand that in these extreme situations it is often impossible to know what to do, and my heart goes out to you and every other family who has to live through this hell. "Remaining calm is the hardest part." So true!! Also, I completely agree that it can be as traumatic as any other type of child abuse. Maybe worse in some ways, because it's tough for a child who was raised that way to point at exactly *what* was abusive. No visible signs, but the emotional scars can endure. These are the most helpful tips - all in one place. It's sad when adults act like children in matters such as child custody. Between my second husband and me, we had our share of custody battles with our ex-spouses. I can say without a doubt that your information is true to the max. Remaining calm is the hardest part. But, at some point in dealing with my ex, the battle became so extensive that I felt the children, being in the middle of it all, and seeing all of the fighting, put them in an abusive environment. I finally gave in to my ex and let him have custody of the children. Guess what? He had the children for one month and then realized how difficult it was to be a working parent. I made him keep the children for a whole school semester. He needed to know what it felt like to be a full-time parent. By the time the semester was over, he was happy to give the children back and paid child support to boot. He never fought me on custody again.